Excursions and land arrangements include some extensive walks, often over rough surfaces. Cobblestones are used in many European cities, making walking more difficult. Access to some decks and to shore in some ports may involve steep steps. Members should be in good physical condition without mobility issues, to fully enjoy this cruise. There is something very magical about experiencing the beauty of Europe on its waterways. This exceptional value river cruise begins in Amsterdam and continues through the heart of Europe sailing on the Rhine, Main and Danube Rivers to Vienna. It is a feast in every sense of the word, encompassing culture, history and riches. Historically, people lived close to the rivers in Europe as they were the principal routes of commerce and trade. 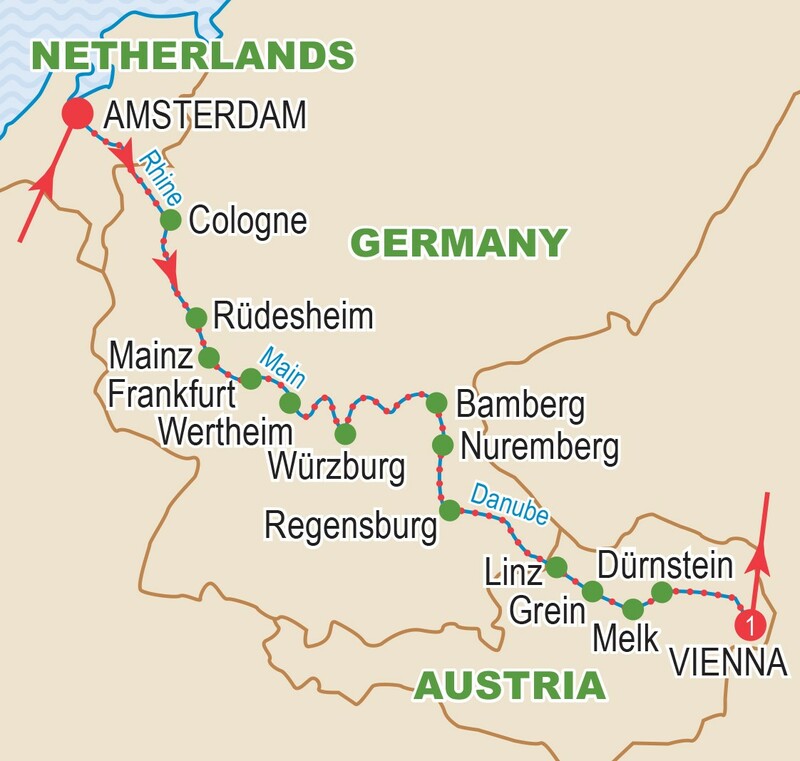 We wind our way along the mighty Rhine and Main Rivers, passing fabled castles and cathedrals and visiting centuries old marketplaces. 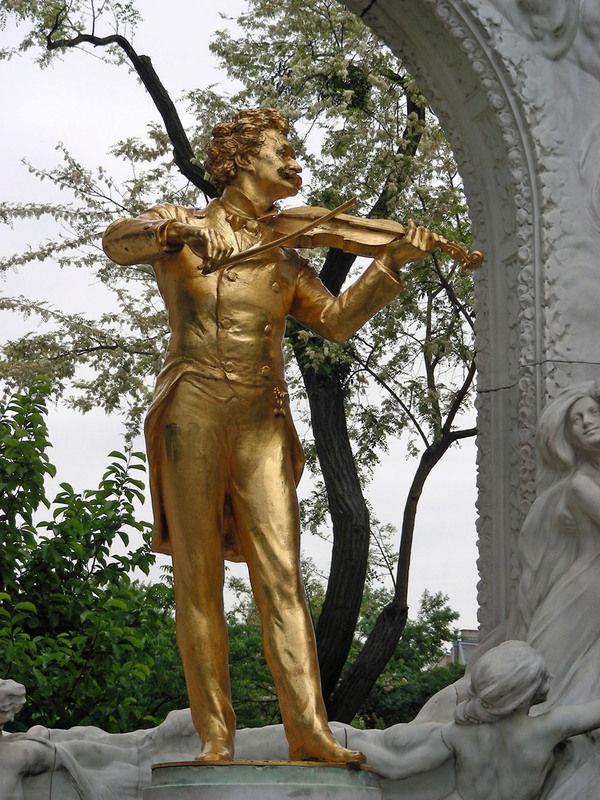 We cross Europe’s Continental Divide, the highest point of our cruise at 1,332 feet above sea level, and then continue along the Danube where music and romance are alive at every turn. We journey through Germany and Austria combining spectacular scenery with cultural enrichment while ensuring that all our creature comforts are met. Planned with the best of river cruising lifestyle in mind, we move at a leisurely pace with days filled with scenic cruising and joyous touring. Explore captivating cities like Amsterdam, Melk, and Vienna during their spring splendour for a perfect European discovery. EXCEPTIONAL VALUE CRUISE - Book early to ensure your places on this journey! Tour members from across Canada gather in Toronto for the overnight Air Canada flight to Amsterdam. Amsterdam is a fascinating city with an extraordinary network of tree-lined canals, sophisticated shopping and an impressive art scene. This morning we will be introduced to the Dutch capital’s most beautiful sights on our tour. In the afternoon we begin our cruise. This afternoon, our walking tour of Germany’s fourth largest city will explore historic monuments, Roman ruins, the charming Old Town and picturesque river banks of this 2,000 year old city. Visit Kölsch Brewery for a sample of Cologne’s famous beer and learn about the Kölsch tradition. 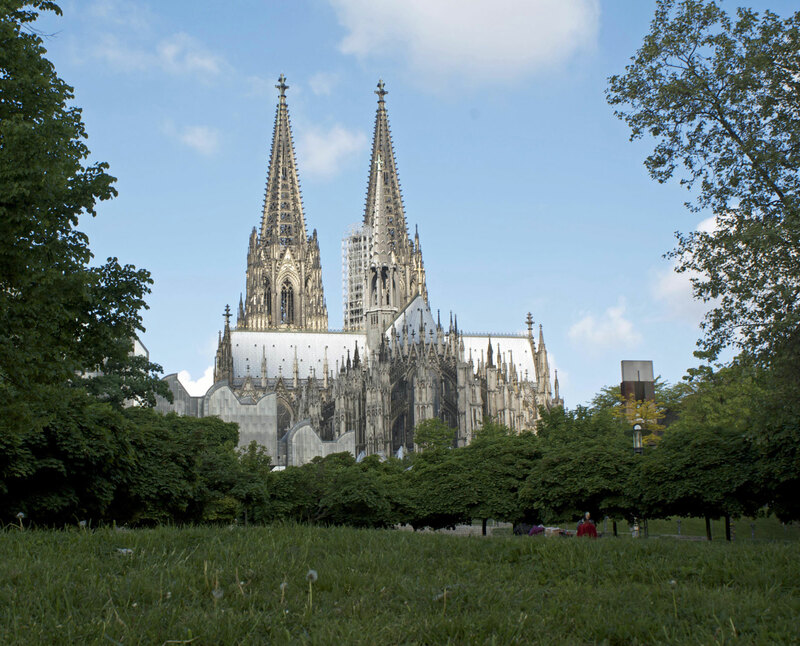 Step inside Germany’s most visited landmark and a jewel of Gothic architecture, 13th century Cologne Cathedral, With the evening in port, we can enjoy Cologne’s nightlife. All aboard the Winzerexpress (toy train) for the ride through local vineyards to Siegfried’s Mechanical Music Cabinet, a museum dedicated to an impressive collection of musical instruments. From here we can explore on our own or join our guide through the village, including the famous Drosselgasse, a picturesque narrow alley filled with restaurants and cafes. Spend the morning in Mainz, home to J Gutenberg, the inventor of the printing press. After exploring the old town with its half timbered buildings, we will visit the Gutenberg Museum, with its displays from around the world and through the ages, of printing as it developed with modern man. After lunch, there will be an optional excursion (extra cost) to Frankfurt, to show the development of the city through the ages, from medieval times until today. The romantic and medieval town of Wertheim is nestled between the Main and Tauber Rivers and greatly affected by them. Being off the mean trade route, Wertheim developed its own style and architecture. Imposing Wertheim Castle, overlooks the historic and picturesque old town with its narrow alleys and wonderful half-timbered houses. 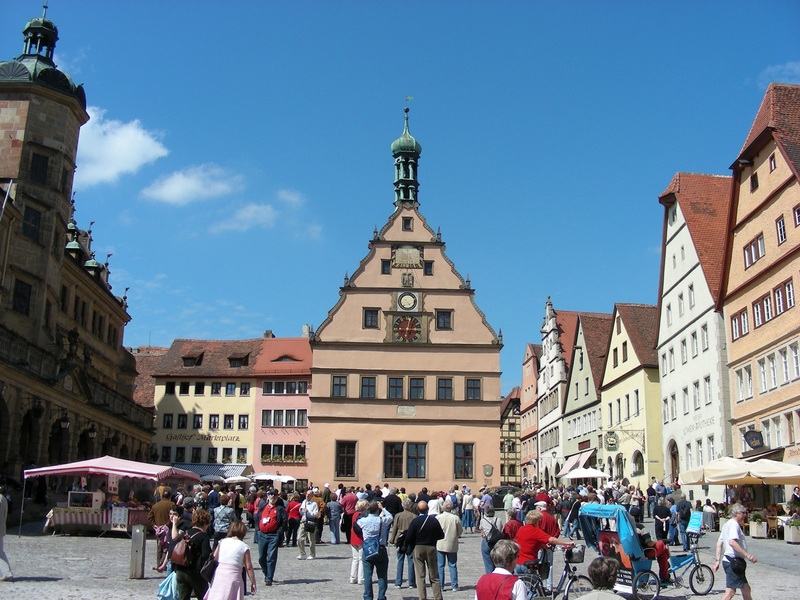 Our guided walking tour will introduce us to the marketplace with its typical Franconian charm, the former court of the royal family Löwenstein-Wertheim-Rosenberg, the Collegiate Church and the Angel fountain. Travel by coach to the magnificent 18th century Residence of the Prince-Bishops (an UNESCO World Heritage Site and one of Europe’s most important baroque palaces). Of special note areb the grand staircase and the Imperial Hall with its reddish stucco marble columns, the large oval dome and three ceiling frescoes dating from 1751. Later, we will explore on foot the beauty of this Franconian wine town. City highlights include the Alte Mainbrücke, the oldest stone bridge on the River Main, Romanesque St. Mary’s Chapel and its impressive sandstone sculptures. See the historic Town Hall and Cathedral St. Killian, Germany's fourth largest Romanesque cathedral. We spend the morning in Bamberg, a charming town in the upper Franconia region of Bavaria. The beautifully preserved old town is nestled between rivers and overshadowed by forests (it is another UNESCO World Heritage Site). Built over seven hills, each topped by a church, the city is often compared to Rome. Medieval architecture marks much of the centre, making it a delightful area to explore on foot. Our walking tour will feature a taste of the local beer, truly a different experience. Stroll past half timbered houses lining the cobblestone streets and see the unique Rathaus, or Town Hall, located on top of the Obere Brucke Bridge. In Bamberg Cathedral, see the tombs of Emperor Henry II and Pope Clement II and then explore Klein‐Venedig (literally Little Venice), to see the 19th century fishermen's houses along the River Regnitz. 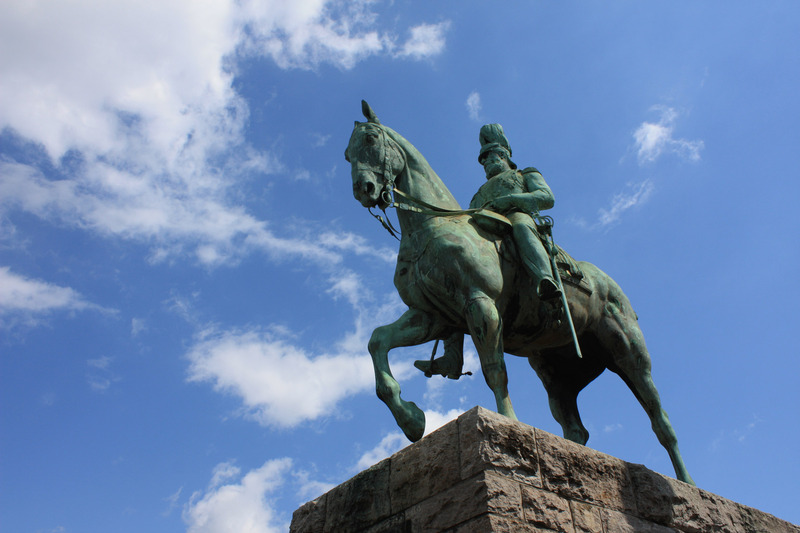 Bavaria’s second largest city is home to the old Imperial Castle of Emperor Friedrich I. 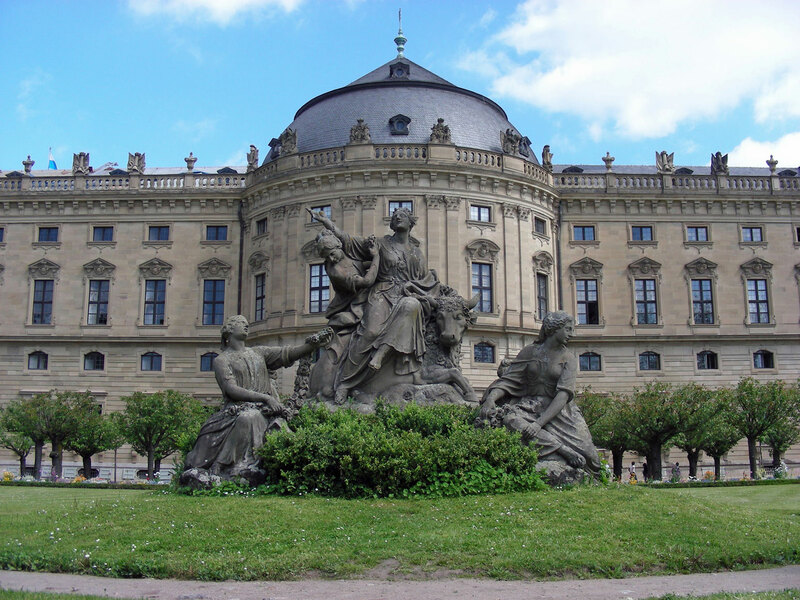 In the Middle Ages, this was effectively the capital as almost all emperors of the Holy Roman Empire lived here. From the castle, there are wonderful views over the old city centre, where our guided walk continues. Surrounded by its well preserved 15th century walls, gates and towers, the old town is noted for the charming Dürerhaus, a 15th century half-timbered house that was home to Germany’s most famous Renaissance artist, Albrecht Dürer. We then walk to one of the most beautiful town squares and Renaissance Town Halls in Germany. This large marketplace is noted for uts astrological clock and the "Church of Our Lady", built in the 14th century. Enjoy some free time to explore the city on our own before we return to our floating home. Regensburg, one of the country’s oldest towns, is nestled at the confluence of the Danube and Regen Rivers. The town’s early origins go back as far as the Stone Age. It was the capital of Bavaria during the reign of Charlemagne and fortunately was relatively unscathed during allied bombing in World War II. Enjoy a guided walking tour of this delightful UNESCO World Heritage Site. Starting at the historic stone bridge which crosses the Danube River (over 1000 feet in length and dating back to the 13th century), we continue to gothic St. Peter Cathedral, the Roman ruins of Porta Praetoria, the Old Town Hall and a number of medieval patrician houses. Be sure to stop at one of the “historsche Wurstkuche” for a tasty sausage. Enjoy a walking tour of the 2009 European Capital of Culture. The stunning Old Town district is home to captivating architecture and fascinating historic sites. See Landhaus, a Renaissance tower, the 16th century Old City Hall, the majestic Old Cathedral, and the Main Square with its impressive Baroque Trinity Column. Be sure to stop at the beautiful Baroque Mozarthaus where the Austrian composer Wolfgang Amadeus Mozart lived in 1783 and composed the Linz Symphony, and to treat your taste buds to a delicious Linzer torte, a famous local nut pastry. 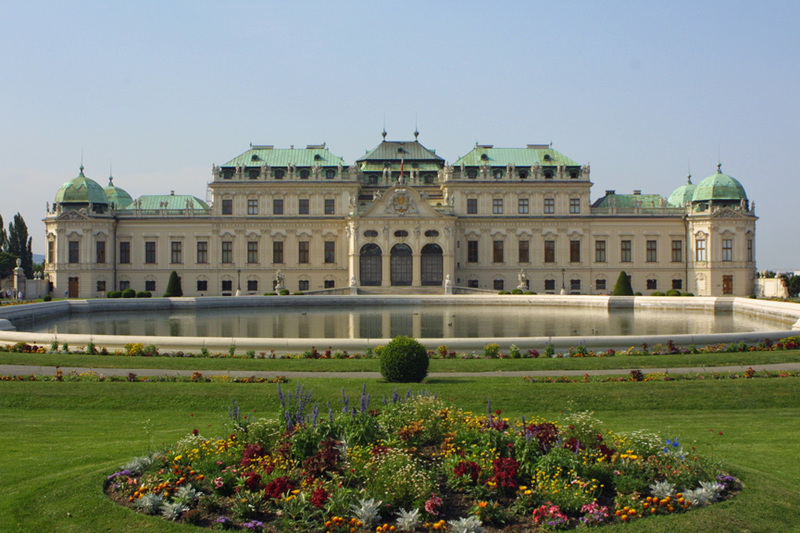 From Linz there will be an optional excursion Salzburg, Mozart’s hometown and known for the Sound of Music. Late this evening, we arrive in Grein, where we can enjoy free time to stroll in the picturesque old town. This morning, we arrive in Melk to visit the magnificent 12th century Benedictine Abbey. Highlights include the Abbey Church, a jewel of Baroque architecture, the magnificent library, some of the rooms where monks used to live and work and a fabulous view of the Danube River from the terrace. Over lunch, we sail to the medieval town of hillside town of Dürnstein, located between the rugged hills and the river, in the heart of the Wachau Valley (UNESCO Cultural Heritage Site). High above the town are the ruins of a medieval castle, where Richard the Lionheart was held during the Third Crusade. Our guided walk will take us to Klarissinnen Square, the Baroque Choir Monastery, the historic Town Hall and some delightful local shops. Fully renovated in 2013, the gracious ms River Navigator, carries a maximum of just 134 passengers in spacious comfort. Riverboat features include the single sitting dining room, a expansive panorama lounge, a 1950’s Rat Pack bar which features an original juke box and a statue of Frank Sinatra as well as an oversized covered Sun Deck to admire the magnificent scenery of the world’s greatest rivers. Our attractive cabins (average size of category B & C is 165 sq ft) feature twin beds, private bathroom with shower, a writing desk, flat-screen television, and ample wardrobes. Cabins on the Odyssey Deck (Category C) have standard windows while those on the Explorer Deck (Category B) have large panoramic windows. Those on the highest Navigator Deck (Cat A staterooms and suites) feature full floor to ceiling glass (French Balconies). There is a small elevator to all decks (excluding the Sun Deck). This is a NON SMOKING riverboat. Rates are per person based on sharing a Cat C Outside Twin on Odyssey Deck. Airfares from other gateways are available on request. Airfares and air carrier are subject to change and will be confirmed prior to final payment. Refer to Inclusive Features for details. Stateroom categories are subject to availability at time of booking. Book early for best choice. See Deck Plan for full details on various categories available. Singles are extremely limited, please ask for rates. Cruise price is based on sharing a stateroom with private bathroom. Prices are based a minimum 15 members and on rates, taxes, and fees effective March 2018 and are subject to change due to factors beyond our control. This river cruise will be escorted with a minimum of 20 travellers. Prices DO NOT INCLUDE the cost of insurance which is available and is highly recommended. Premiums vary with the cost, length of the trip, and the traveller’s age. For passengers up to and including 74 years on departure date, premiums will range from $280 to $555 pp plus applicable taxes. Cost supplements for travellers aged 75-85 will range from $186 to $424 pp plus applicable taxes. This insurance is effective from the date of purchase and carries limitations on pre-existing medical conditions. Please discuss your insurance coverage prior to booking. Refer to terms and conditions for more details.